An Italian-American electrical engineer and businessman who co-founded Qualcomm Inc. Born in Bergamo, Italy to Jewish parents and emigrated with them in 1939 to the United States as a refugee. His original name was Andrea, but when he was naturalized in the US, his parents changed it to Andrew, since Andrea is a female name in many English-speaking countries. He attended the Boston Latin School, and then entered MIT in 1952, studying electrical engineering. He received both BS and MS in Electrical Engineering in 1957 from MIT. He worked at Raytheon and later at Jet Propulsion Laboratory (in Pasadena), where he started working on telemetry for guided missiles, helping also to develop the phase-locked loop. Simultaneously he was carrying out a PhD study in Digital Communications at the University of Southern California, where he graduated in 1963, after which he applied successfully for an academic position at University of California, Los Angeles (UCLA). He was later a professor of electrical engineering at UCLA and UCSD. In 1967 he invented the Viterbi algorithm, which he used for decoding convolutionally encoded data. It is still used widely in cellular phones for error correcting codes, as well as for speech recognition, DNA analysis, and many other applications of Hidden Markov models. On advice of a lawyer, he did not patent the algorithm. He also helped to develop the CDMA standard for cell phone networks. He was the cofounder of Linkabit Corporation, with Irwin Jacobs in 1968, a small military contractor. He was also the co-founder of Qualcomm Inc. with Dr. Jacobs in 1985. As of 2003, he is the president of the venture capital company The Viterbi Group. In 1998 he was one of the few receiving a Golden Jubilee Award for Technological Innovation from the IEEE Information Theory Society which he earned for "the invention of the Viterbi algorithm". 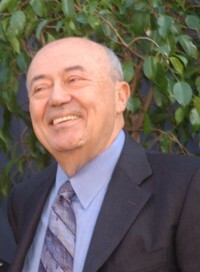 In 2002, he dedicated the Andrew Viterbi '52 Computer Center at his alma mater, Boston Latin School. On March 2, 2004, the University of Southern California School of Engineering was renamed the Viterbi School of Engineering in his honor, following his $52 million donation to the school. He is a member of the USC Board of Trustees. He is also on the Board of Trustees at The Scripps Research Institute, and is the founding member of ISSNAF (The Italian Scientists and Scholars in North America Foundation). In 2005, he was awarded the Benjamin Franklin Medal in Electrical Engineering. He and Irwin M. Jacobs received the 2007 IEEE/RSE Wolfson James Clerk Maxwell Award, for "fundamental contributions, innovation, and leadership that enabled the growth of wireless telecommunications". In September 2008, he was awarded the National Medal of Science for developing "the 'Viterbi algorithm,' and for his contributions to Code Division Multiple Access (CDMA) wireless technology that transformed the theory and practice of digital communications." In 2010, he received the IEEE Medal of Honor and in the same year he also received the IIC Lifetime Achievement Award by the Italian Cultural Institute of Los Angeles.